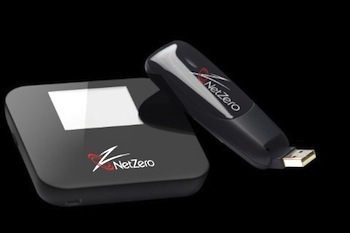 You may remember the name NetZero from the old days of dial-up internet access. They’ve changed with the times and now offer high-speed DSL internet access that you can actually afford. While most internet companies charge around $45 – $60 for their cable or DSL internet packages, NetZero’s broadband DSL plans are priced between $17.95 and $27.95. It’s not $9.95 like the low-income broadband plans out there, but if you can’t qualify for those it’s a pretty good price. DSL internet is delivered through your telephone line (so you need a phone line, of course, although it’s still available for telephone calls) to a wireless router you connect to a jack in the wall. This router takes the signal and delivers wireless internet to any devices in the local area. NetZero DSL speeds depend upon the plan you are willing to pay for, and range from 768 Kbps to 3 Mbps. These days, 768 Kbps isn’t super fast, but for other than streaming video or big downloads, it will be fast enough for the cost-conscious internet user — still about 15 times the speed of dialup. Internet Service Providers normally charge either a fixed price or a monthly rate for the wireless router that you’ll connect to your DSL line. But NetZero will give you yours for free. Importantly, for a low-cost service, there are no data usage limits on any of the plans, unlike some other low-cost internet services you might find. Saver: The Saver plan is the lowest-speed they offer, at 768 Kbps. They promote the price of $9.95, but that’s only for the first six months. The price after that is $17.95 a month. Speedsaver: This midrange plan provides Zetzero’s midrange speed, which is 1.5 Mbps a month. This is comparable with the speed of most other low-cost broadband plans. The teaser rate is $9.95 for the first six months, but the price thereafter is $22.95 a month. Pro: The top of the line NetZero plan is their fastest speed of 8 Mbps. That will give you all the horsepower you’ll need for just about anything. It’s also the most honestly priced plan, at $27.95 from month one. Check all the additional charges that might be in the fine print; for example, we see “additional fees may apply including a network management surcharge of up to $2.95.” It’s true with everything, but especially true with internet service providers: you need to read the fine print. You’re likely going to have to sign up for a term of some length, but there is a 30 day guarantee so you can make sure you like the service before not being able to get out of the contract. Beyond the 30 days, you’ll face an early termination fee. 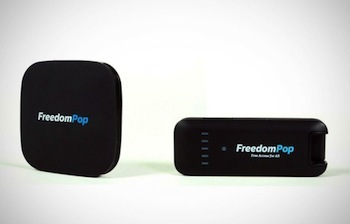 It’s natural to compare this NetZero DSL to FreedomPop Home Internet, which is priced a bit less. The advantages of NetZero DSL are that it’s DSL, you don’t pay for the wireless router, and there are no data usage caps that could trigger unexpected costs (more video and movies!). 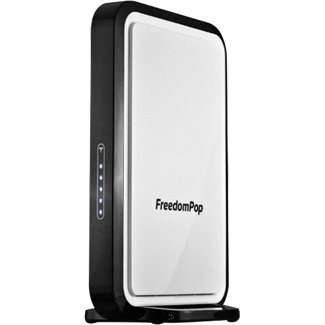 But the advantages of FreedomPop include no long term contract, really cheap pricing (even a free plan) and no telephone line required. You have to take a look at both and see which one works best for you. And if you are interested, NetZero also has mobile internet plans available, although they get pricey fast. I would like to know about home internet services,I dont download just for research and for my smart tv. Can in get a some plans you might have? They’re not “our” plans, Gilbert. We are an independent informational website, NOT a cheap internet service provider. Click around this site and you’ll find all the info you need on the providers and their plans. We can’t answer that question. You need to contact the service provider directly. I AM INTERESTED IN YOUR SAVER AND SPEED SAVER PLANS. I WOULD ALSO LIKE TO USE MY LANDLINE PHONE TO RING NZ. We are NOT NetZero nor any other low-income internet service provider, Carolyn. This is an independent informational website. You need to contact the company directly to get your questions answered. Find the one that fits your needs best and then enroll using the contact information we provide. I would like your phone to talk to someone to get internet at my apartment. I have an laptop.